Are you looking for an independent community bank in Idabel, OK? 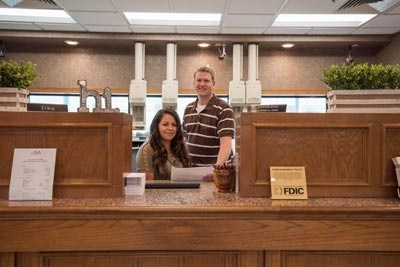 Search no further than Idabel National Bank. We offer a wide array of financial services tailored to meet your unique requirements. With decades of experience, you can trust us to go out of our way to ensure that all of your needs are properly taken care of. The Idabel National Bank was founded in 1921 and has operated in McCurtain County as an independent community bank since its inception. The bank has been locally owned and operated for many decades, with the current ownership in place since 1968. Additionally, due to the structure of the bank’s retirement plan for its employees, each full-time employee collectively owns a share of the bank, too. We believe this distinction of employee ownership helps us deliver superior customer service. The bank’s primary mission has always been to serve the banking needs of McCurtain County. This continues to be the driving force behind the bank today. Through the years, our bank has enjoyed high quality leadership which has helped the bank achieve and maintain the level of service that lets our customers know how much they are valued. In 1998, we constructed our current location at 1201 Southeast Washington Street in Idabel, consolidating our branches to one convenient main office. Visit Our Community Bank Today! Our independent community bank is committed to providing you with exceptional financial services that you won’t find elsewhere. We aim to make each transaction safe and convenient for our customers, which is why we make sure that all of our banking processes follow strict protocol and observe high standards. For more information about our bank, you can contact us via phone or email.